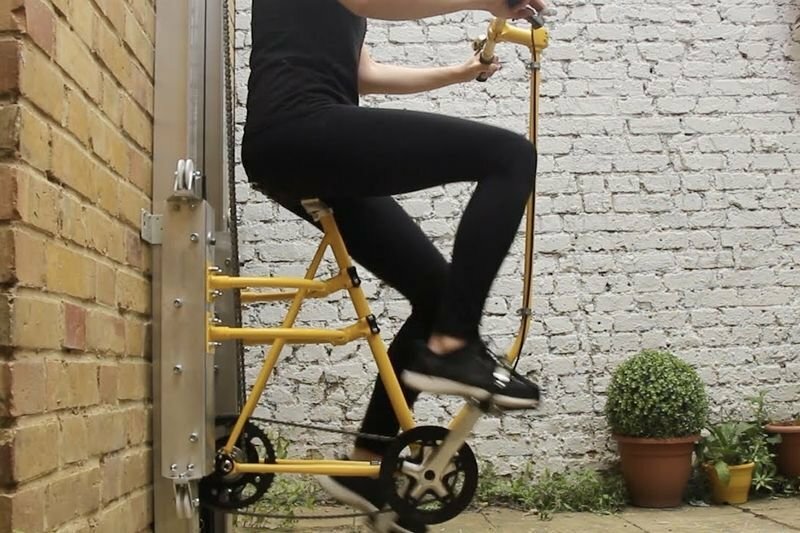 Video: Introducing The Human Powered Elevator, Vycle! Home / Computers/technology / News / Video: Introducing The Human Powered Elevator, Vycle! The project takes inspiration from bicycles and the idea is that it will allow people to ascend and descend buildings using their bodies. At the moment there are two main methods for vertical transportation that have prevailed for the last 100 years, the stair and lift. The Vycle is a system powered by continuous cyclical movement. Its benefits are twofold, firstly it will give stakeholders a more efficient and sustainable option to ascend and secondly variable energy selection will be able to cater for people of varied ages and abilities. The system is balanced with counterweights leaving the user's body as the only weight to overcome. Using a gearing system similar to how bicycles work the user can decide how much effort they want to put in. This new urban vertical transport system reintroduces a sense of community and flow that is currently exclusive to the urban ground. Check out the video to see how the Vycle works.